An exercise bike/cycle is an excellent device which helps you to stay fit. It enables the user to get his daily low-impact workout which facilitates active burning of calories and fats too. 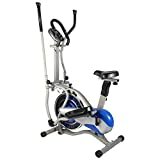 This gym cycle helps users to ensure that they get their 30minutes cardio workout thereby improving their health. Available both as recumbent and upright bikes, these bikes are extremely useful for people with back problems. In fact, with this bike, it is also possible to read books or even watch television while exercising. 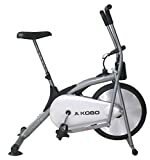 This bike is also used to train for cycling races and also as a means of physical therapy as it does not have much impact on either the knees or the ankles. 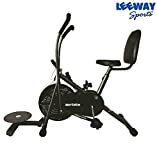 Features associated with the gym cycle currently available include heart rate monitors, BMI calculators, calorie calculators, pulse recovery monitors etc. An LCD showing the basic workout statistics like speed, interval time, calories burnt, RPM etc., is also present. The seat of these exercising bikes can also be adjusted as per the requirement of the user. This makes for a comfortable sitting position and a better workout. Really pleased with Reebok ZR8 exercise bike. 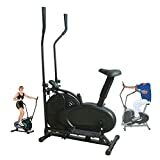 Hi jhelum paul, I would suggest you to go with Cardio Max JSB Cardio Max HF78. I want to know the best one for reducing thighs and belly.. can someone please suggest? I am a plus size model and I want to lose some belly fat. So please suggest me a good bike. We will suggest JSB Cardio Max HF62 ( 4th Pick ) is suitable for you. JSB Cardio Max HF62 is suitable. Which one Are you asking about…? Suggest a bike for 90-110kg users. 1.Pls suggest a comfortable cycle for those with knee and cartilage problems. 2.Not recumbent.3.To strengthen the leg muscles to support the knee. 4. For home use. 5. With BMI calculator. 6. With beginner to advanced levels.